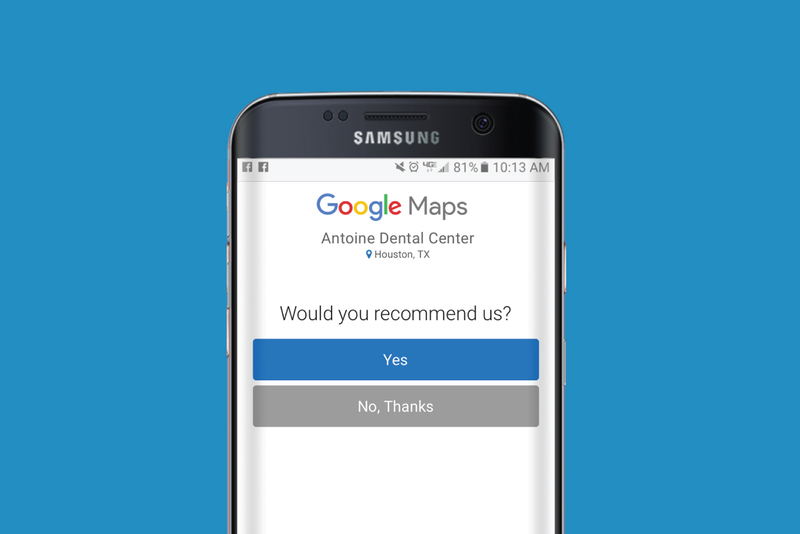 Easily obtain reviews from dental patients during their visits. Discover how simple it can be to obtain great patient reviews and grow your reputation. Now more than ever, your dental practice needs recent, positive reviews. We make it easy. Getting more trusted Google, Facebook, and Healthgrades reviews is among the most important things you can do to positively affect search engine rankings, and influence a prospective new patient’s decision to choose you. 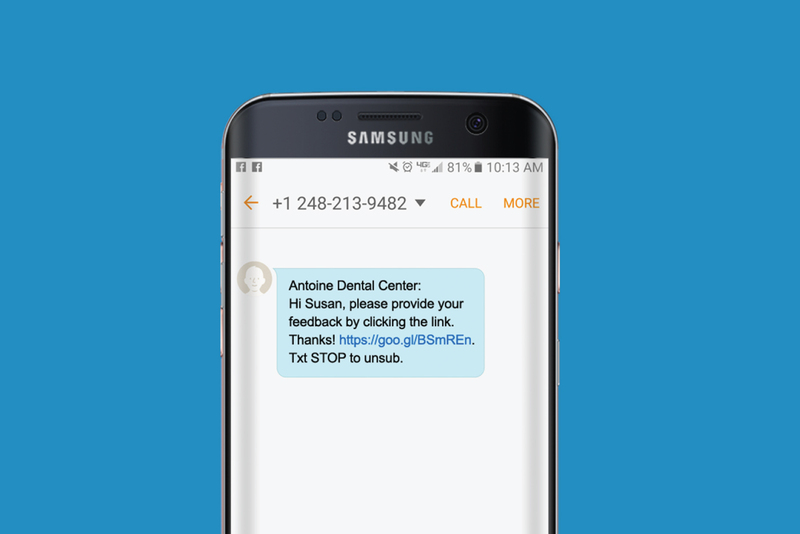 With My Social Practice Reviews, patients write reviews for your dental practice where it matters most—in just a few taps on their smartphone. Plus, you’ll receive detailed training, reporting tools, and printed materials for your practice that will spark conversations with patients about reviews. My Social Practice makes it easy! Request a brief demo of our services and discover why your practice’s online presence is the smartest place to focus your marketing efforts. Ask, then send your patient a text. 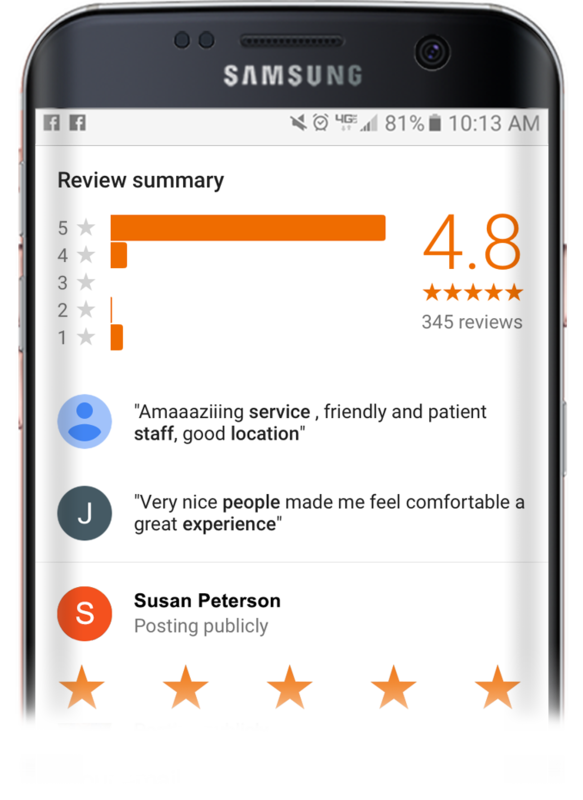 Identify those patients you’d like to ask for a review, or automate the process completely, and send a text to their cell phone. Patient is guided to write a review. 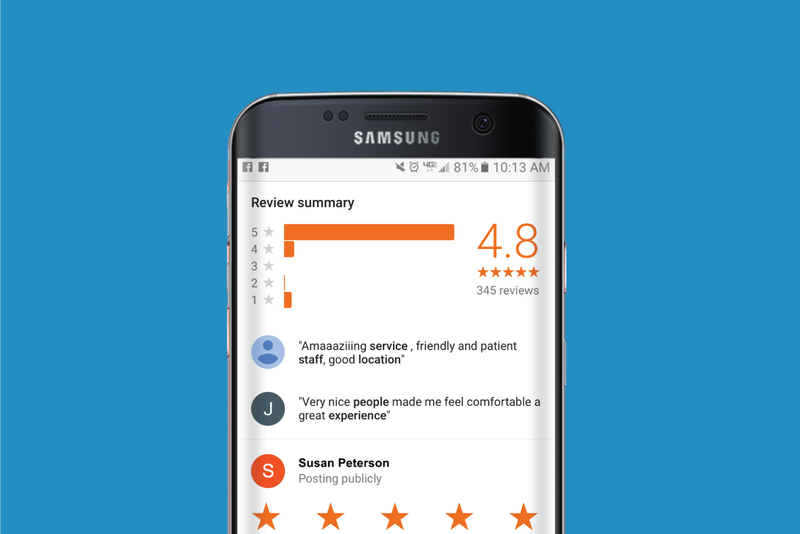 With a few taps, patients easily leave reviews about your practice. Great reviews post directly to your page. You’ll also be notified so you can easily follow up with your patient if necessary.